LiveSource would like to announce some important enhancements to our services as well as to generally highlight the key features of our platform. 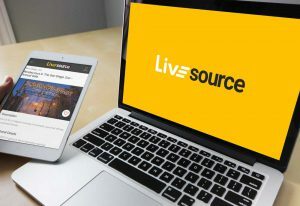 LiveSource is the most trusted in-game auction platform for professional sports and entertainment. The LiveSource App was created to enhance the fan experience during live sporting and entertainment events. Our idea is that memorabilia and VIP experiences could be created by our partners before and during events in less than 20 seconds, and these opportunities would allow partners to instantly capitalize on their assets. And by doing so, fans at these events would benefit by being able to secure unique items and experiences while they’re at the event, as its ongoing. Manual End Time: This week we implemented a truly unique feature that allows partners to manually end auctions rather than just relying on a counter. Let’s give you an example: Before a game begins, you can initiate an auction that states it will end with 5 minutes left in the first half. Since you don’t know when this is, no software presently exists that would give you this flexibility. Well, until now. Because LiveSource now gives you the flexibility to start an auction that lists an end time that can’t be timed in advance, and to allow our partners to end the auction when that time arrives. The uses for this extraordinary advancements are incredible. Want to end an auction after the opening act? Done. Want to end an auction after the first touchdown? Done. Want to end an auction after a player scores 40 points? Done. The in-the-moment auction possibilities are endless with LiveSource and this is just one example how we are leading the creation of this market. Buy It Now Pricing: This week we implemented an update to our app and administration platform which allow partners to sell items at set prices. This means that you can now sell items for a set price in addition to selling items through auctions. When you activate the buy it now feature, our program will ask you how much the items should be listed at and how many of them you wish to offer for sale. The auctions and buy it now items will be listed on all your exclusive event page and it couldn’t be easier to set this up. There is no faster or easier to use auction and live event sale software that exists. LiveSource truly is revolutionary. Option To Hide The Countdown Timer During Last 5 Minutes: One big problem with auctions is that experienced bidders typically wait until the last few seconds to bid. If it were possible to secure in advanced of the close peoples’ maximum bids, the amount they actually are willing to spend on an item, the result would be much higher sales figures from auctions. LiveSource is the only platform that provides a solution to this problem. Our partners now have the option to hide the countdown timer when there are less than five minutes remaining. For example, when this option is activated by our partners, viewers of the auction will see the clock tick down from 5:03, 5:02, 5:01, 5:00, and then…. “Less than five minutes remaining.” When activated, the clock will continue to read “Less than five minutes remaining” but as the timer gets closer and closer to zero, the text will begin to blink more and more prominently. This is one of many examples of features that LiveSource offers that no other platform has, period. We are experts in the field and our 20+ years experience gives us unique insight. This feature allows partners to dramatically increase the revenue they receive for items and we’re proud to have such incredible foresight. To learn more about LiveSource and how these and the many other features we offer will uniquely help your business, please contact LiveSource and our Founder directly at 858-336-8380.